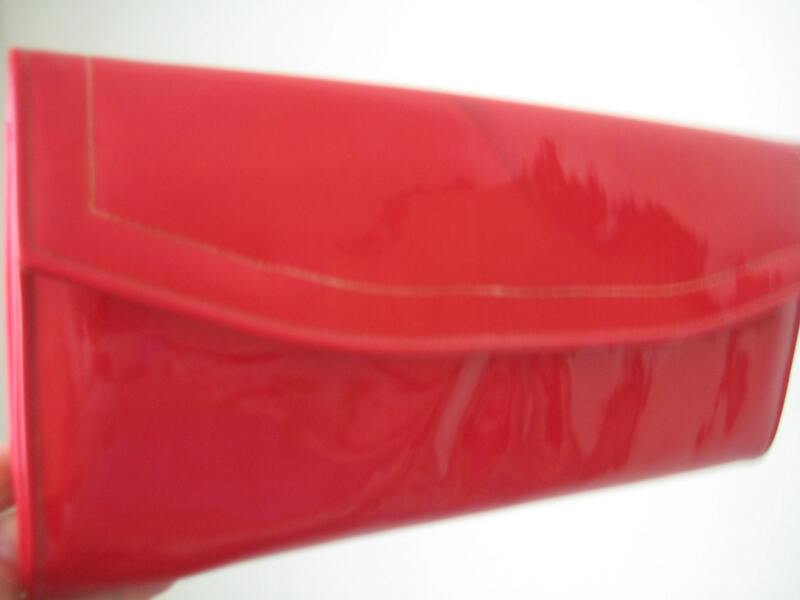 Lovely red patent leather vintage clutch by Stylecraft Miami. Tan outer stitching accent along flap. Gold tone metal push latch. 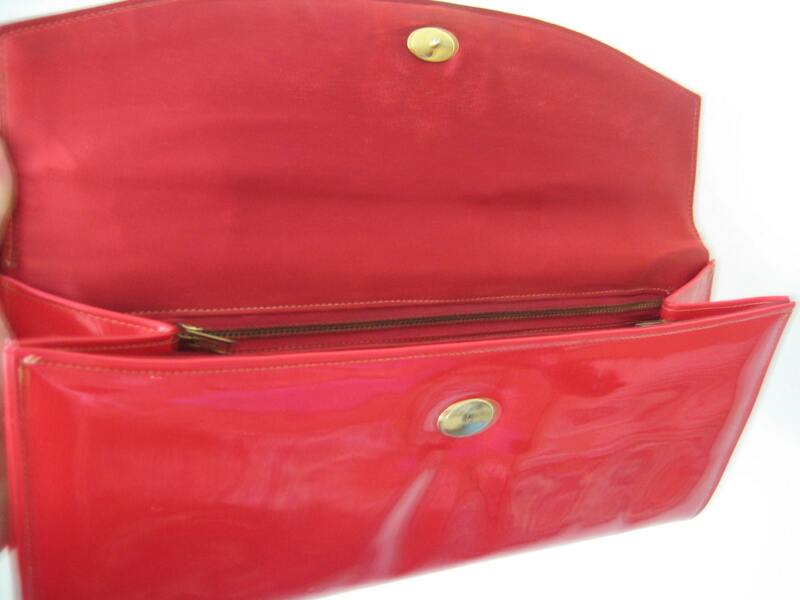 Interior is a red satin with one metal zippered pocket and one patch pocket. 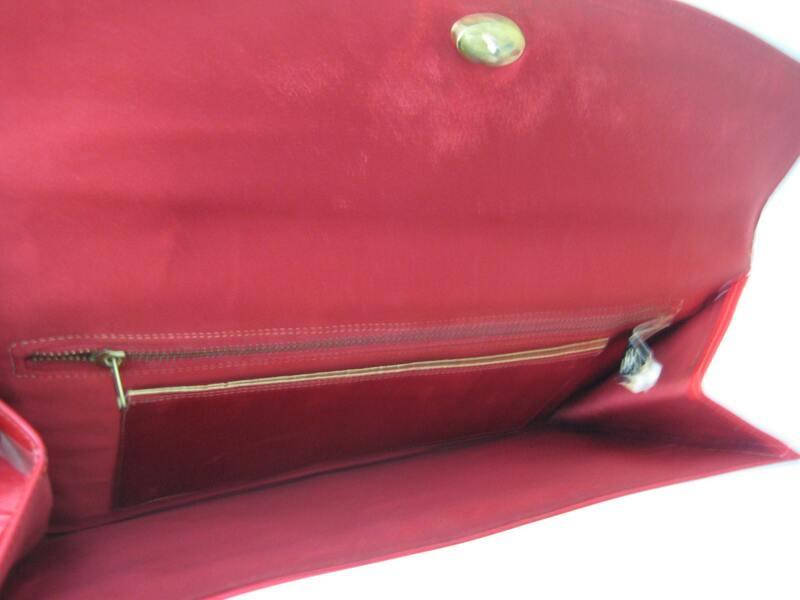 Gold faux leather piping along upper edge of patch pocket. Stylecraft Miami label. There is a light black swath mark on the outer flap. Not overly noticeable. Interior has been scrubbed clean but shows sign of use though no rips or tears. 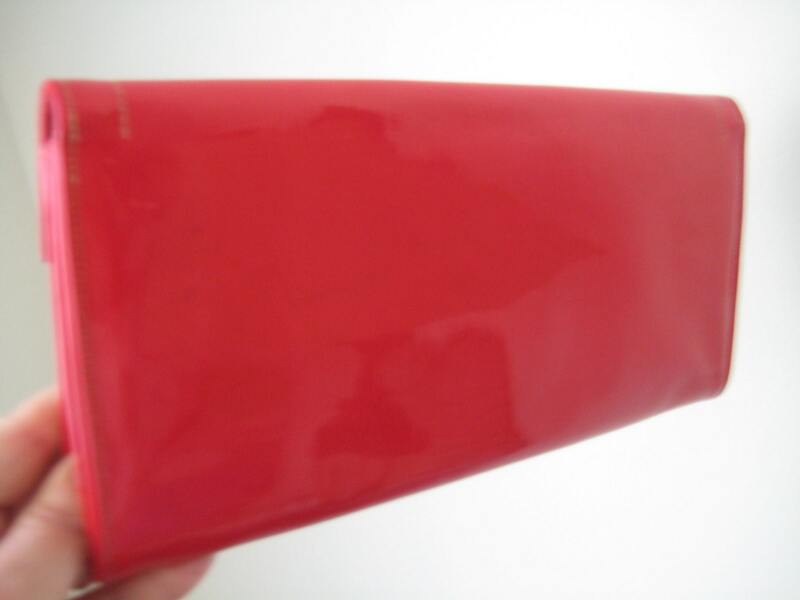 Dimensions: 11 inches long x 5.5 inches high.